Picture taken in or around 99. This is before the Trimpers purchased the Inverter and Slingshot. The Ferris Wheel is no longer in this location. 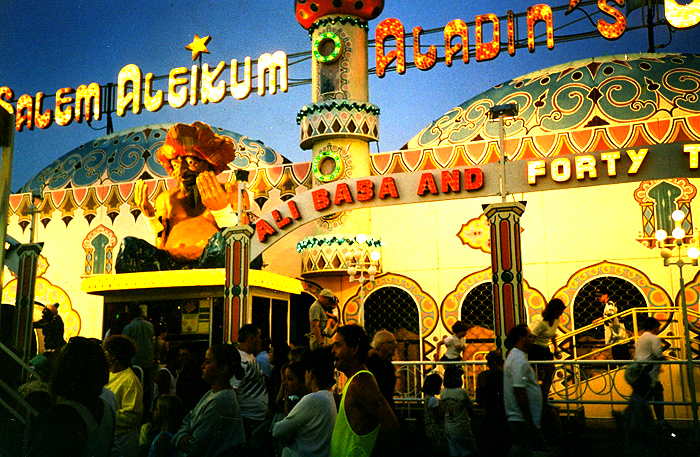 Another portable funhouse that has been a staple at Trimpers for years; Salem Aleikum -- Aladin's Lamp. Often misspelled with two Ds, this classic has floor obstacles, a maze, and many other tricks and traps including a spinning tunnel at the end. Shown here, a south view of the park. 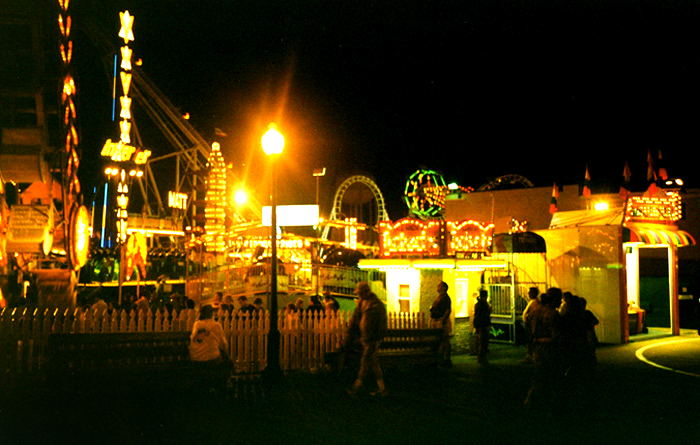 The Inverter, Zipper, Sky-wheel and Wac-a-Mole can be seen here. 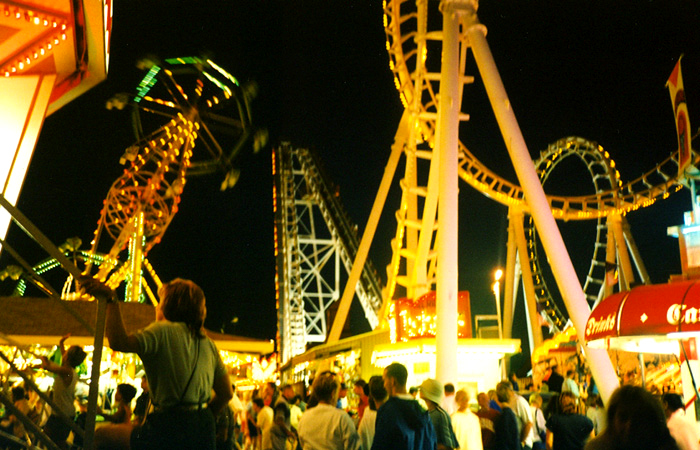 Shown here, the Tidal Wave boomerang coaster and the sky wheel. 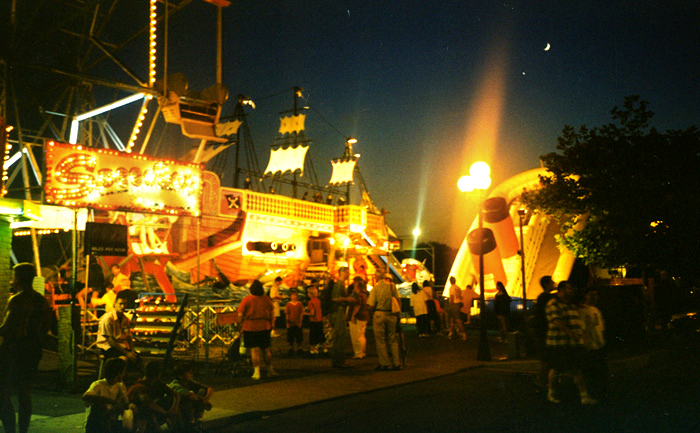 Shown here, a setup that was in the park for a few years included a moving Pirate Ship fun house and blow-up Titanic attraction. The Slingshot was bought in about 2001 to take their places. 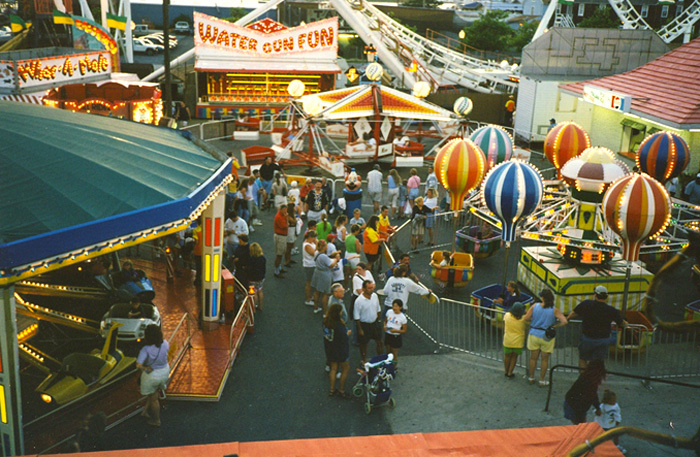 Shown here, the Combat and Balloon Ride along with a Water-Gun style game in the back. 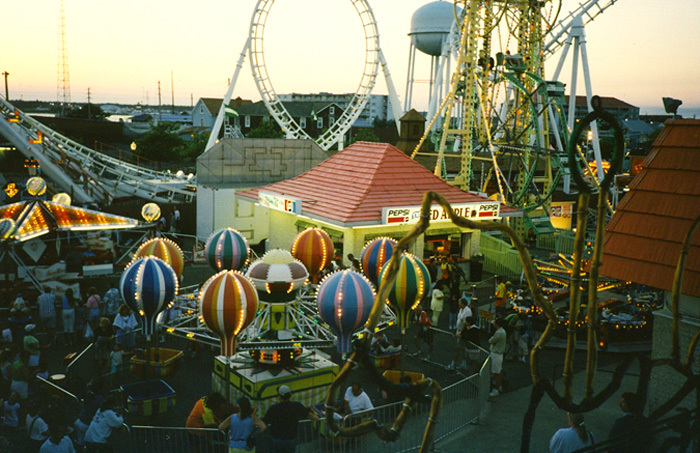 Shown here, the Sky Wheel, Balloon Ride, Red Apple, and part of the Tidal Wave Boomerang Coaster. 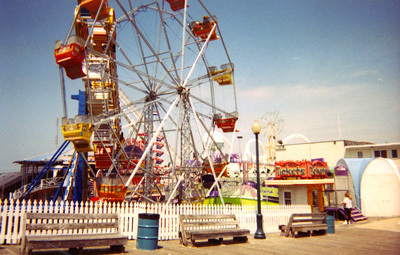 In the pictures above, notice the classic double-ferris wheel,or Sky Wheel, which is no longer in the park. In the early 2000's, the Trimpers did away with it and added it to their "ride graveyard" located near their Warehouse in West OC. Also in the Graveyard is the former Wild Mouse ride. 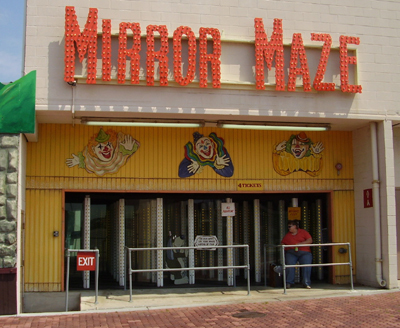 The Mirror Maze, pictured above in the off season, is probably one of the longest and toughest mirror mazes you will find. This maze was built into a concrete structure; the same structure that was added on during the Haunted House expansion in 1988. The Trimper’s keep the mirrors and glass spotless only to make your trip through this attraction harder. No visit to Trimpers would be complete without a visit through this classic. 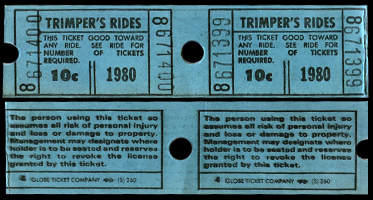 Trimper tickets from 1980 -- 10 cents a piece! 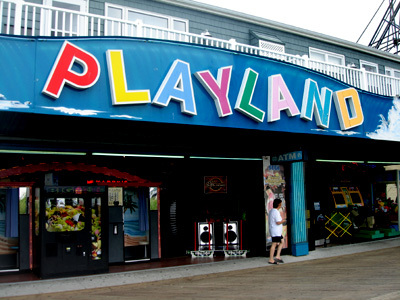 Marty's Playland--Managed by Doug Trimper. The Trimper's pride themselves in being able to offer one of the biggest and cleanest arcades in Ocean City. Trimper's Red Apple. 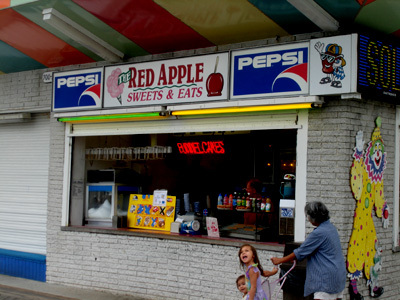 The Red Apple is Trimper’s flagship concession stand serving everything from cotton candy to corn dogs and candy apples. Shown here is the location on the boardwalk, although there are other locations throughout the park. On an overcast Saturday in October, you can see crews taking down rides for the winter. Shown here is an empty lot with only Trimper's Freak Out remaining. The Matterhorn and Himalya are actually owned independently. 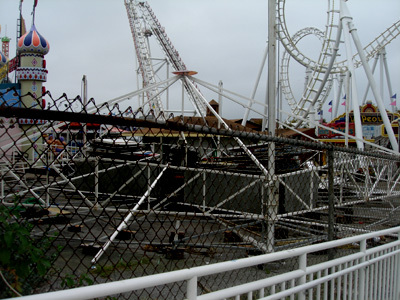 Here, you can see the skeletal structure of what was one of the busiest rides during the summer. The following pictures were submitted by Dave from Baltimore, Md. 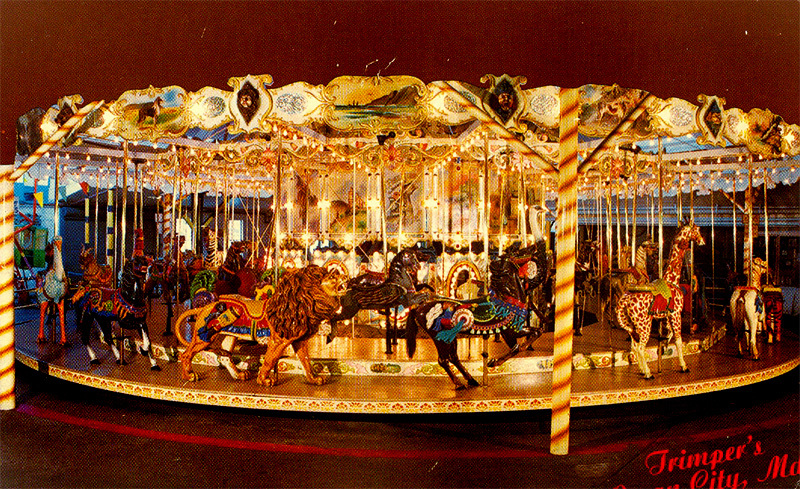 They display a good example of what Trimper’s Park looks like during the off-season. 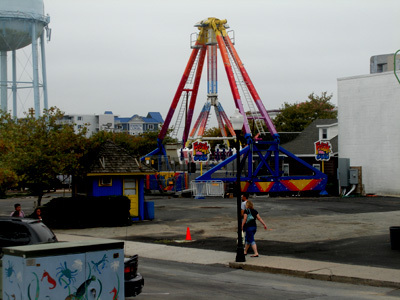 The lots are empty and crews are busy dismantling rides for the winter. In these pictures, you can see crews breaking down the Sling Shot to take it to the warehouse. The blue trailor is housing the main unit for the Matterhorn. 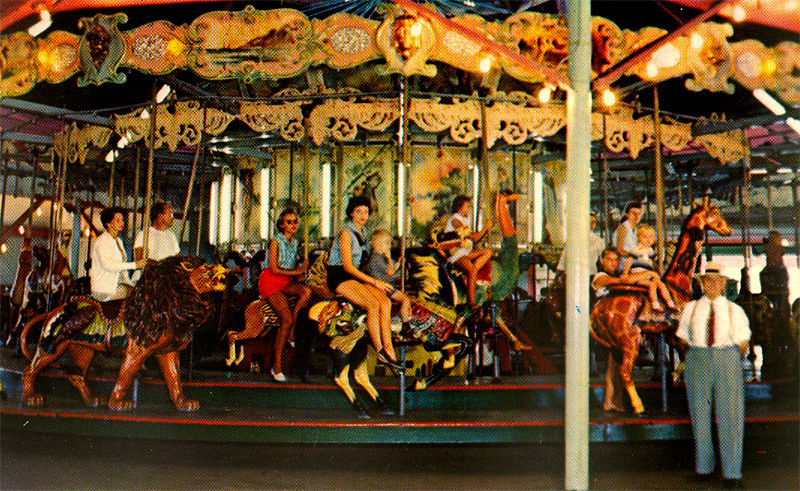 Old Trimper Postcards: One is the Carousel in the 60's, the other is the Carousel after it was restored.